ProIcon Social is a self-animating social media icon package for Final Cut Pro X. 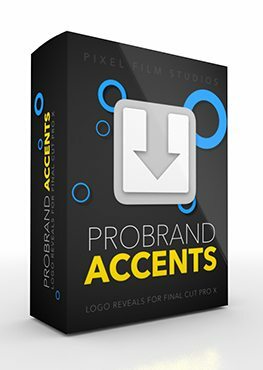 There are over 150 pre-made animations included in ProIcon Social spread across 50 unique presets. Users may choose from 7 beautiful animation types and pre-made logo animations for 5 of the most popular social icons. Animating personal logos is also possible using drop zone presets. Get creative with ProIcon Social from Pixel Film Studios. Advertise a business’s social networking in a fun way using animated logos with ProIcon Social. Users can show viewers where they can follow updates with extra flair by animating each logo into a shot. Mix and match animation styles, or use one type throughout. ProIcon Social lets users get creative. Take advantage of ProIcon Social’s ready-to-go animation presets for icons with Youtube, Twitter, Instagram, Google Plus and Facebook logos. Each logo is pre-animated using one of the 7 included animation styles. Pixel Film Studios makes editing fast with pre-made animations. Add any social media, or personal logo into one of the drop zone presets to use ProIcon Social’s animation with any icon. Use a two color threshold to simplify the colors, or turn off the threshold to use the icon’s original colors. The possibilities are endless with ProIcon Social. Using drop zone presets is easy. To start, have a logo with a transparent background ready to apply. The logo can be a tiff or a png or any file format that supports transparent backgrounds. Then, navigate to the Drop Zone control in the Inspector window and click on the box. Select the image in the timeline and click the blue Apply button that appears. That’s it! Change the color, add a vignette, turn on the light and give the icon a drop shadow. These are a few of the many ways users can stylize their logos in Final Cut Pro X. Use the on-screen controls to position, scale and rotate icons within the scene and stretch icons in the timeline to increase duration. Where do I find PROICON SOCIAL? Once the installation is complete, you can find PROICON SOCIAL in the FCPX Titles library. My package did not include a Double-Click to Install button. Check to make sure you received version 1.1 of the product. If not, send an email to pixelfilmstudios@gmail.com and we will supply you with the latest update.